As communicators, the language we use is important. It “says" something beyond the meaning of what we’re actually saying. All languages are just shared agreements among groups of people over time to say that certain words and symbols stand for certain things — and they evolve over time. 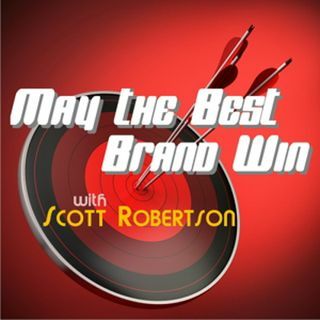 In this episode of the Emmy-winning May the Best Brand Win, join me as we explore language and give you some tips to tighten it up and cut the crap so that the people you’re trying to reach agree that ... Maggiori informazioni you’re not completely wasting their time. We’ll also tackle who’s winning and losing this week in marketing & communications. It’ll be epic.